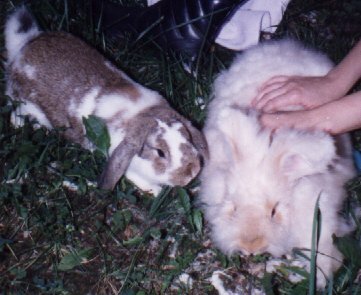 Jimmy sneaks up on Izzy while I groom her, July 1998. Buck or doe, spayed/neutered or intact? - Sexual differences and compatibilities, spaying and cancer, neutering, one or more rabbits? 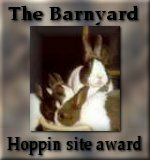 When I moved my site, I tried to contact this rabbit ring but the e-mail bounced back at me. I guess they are out of business.